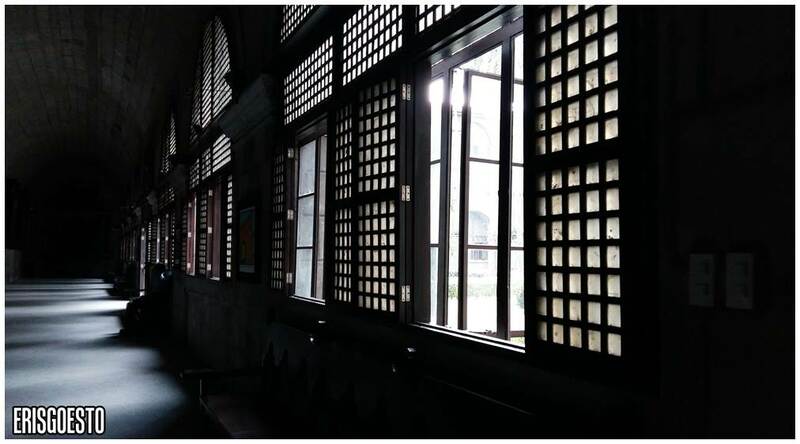 For some reason, my heart felt heavy as I stepped through the intricately carved doors of San Agustin Church in Intramuros, Manila. Maybe it was the imposing stone facade – a far cry from its once bright yellow front – but mostly I think because the church has a sad beauty about it. It has seen its fair share of wartime horrors, and was one of the only structures to have survived destruction by the end of World War II, while all others lay around it in piles of rubble. 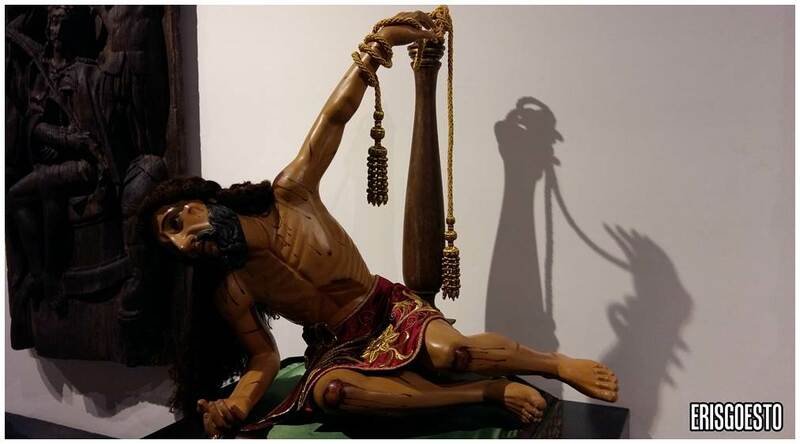 The British looted it in 1752, while the Japanese used it as a prisoner concentration camp – God must have turned his face away from the horrors that man inflicted upon each other in His holy place. 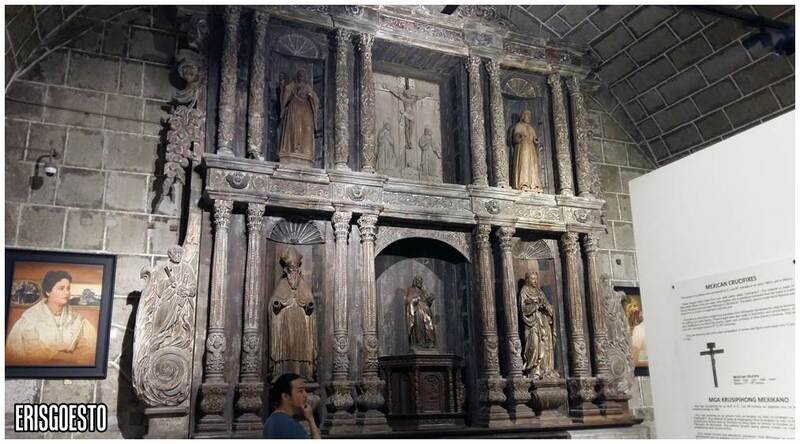 The church started off as a monastery and was built by Spanish monks of the Order of St Augustine, whose teachings and way of life were based on St Augustine of Hippo. 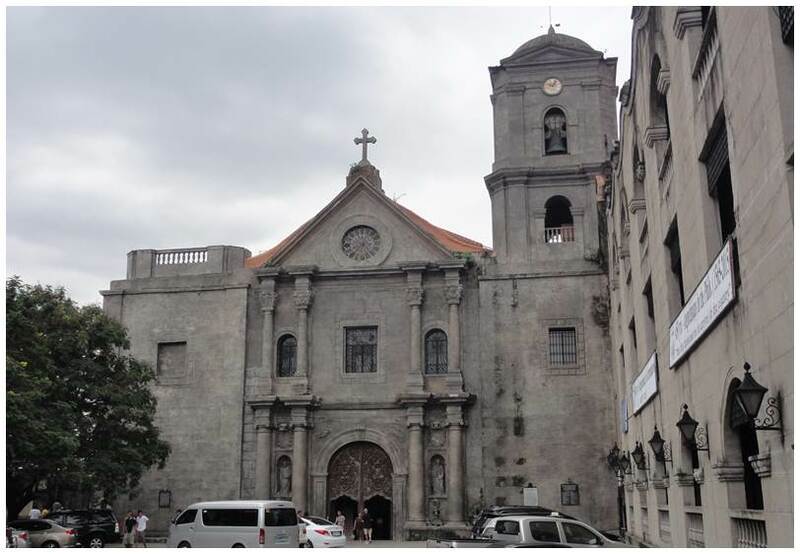 Completed in the 1600s, it is the oldest church in the Philippines and is now a major tourist attraction in Intramuros. 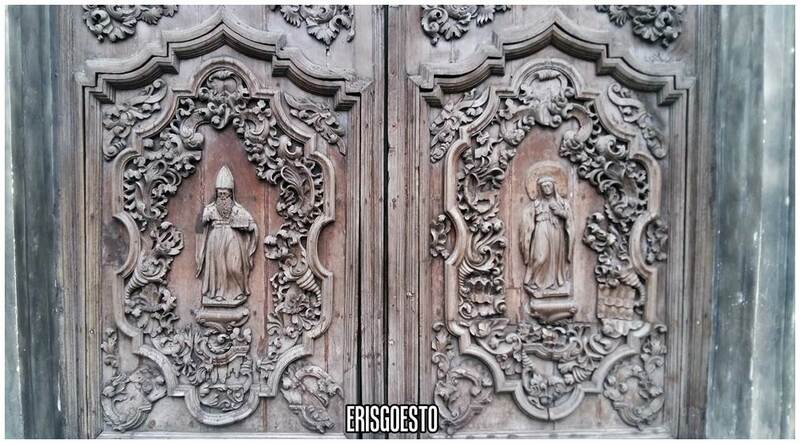 The old wooden doors were carved with figures of saints and religious symbolism, and employed high quality craftsmanship. For some reason there were lions outside the church, resembling Chinese fu-dogs that you usually see guarding temple entrances. We were immediately thrown into dark and quiet upon entering – it could easily have been hundreds of years ago. I think the lights were dimmed so as to protect important art pieces, so most of the time the only light sources came from sunshine filtering in through the windows. 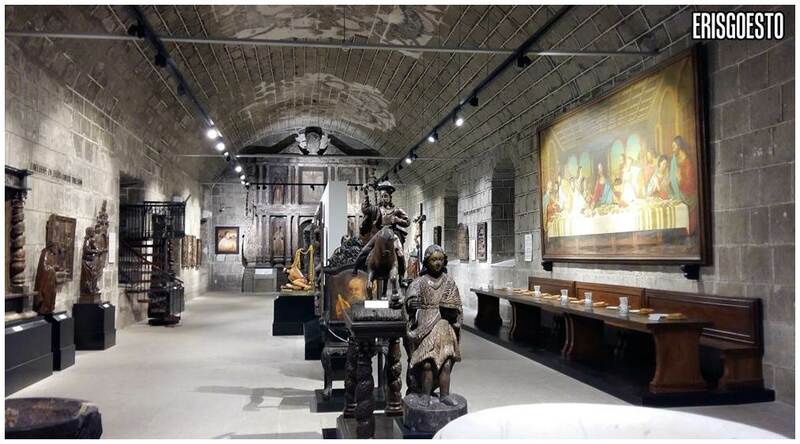 The walls were lined with 18th and 19th century oil paintings depicting religious scenes: most were faded or intentionally painted in muted, dull colours (as was common in the style of that era). 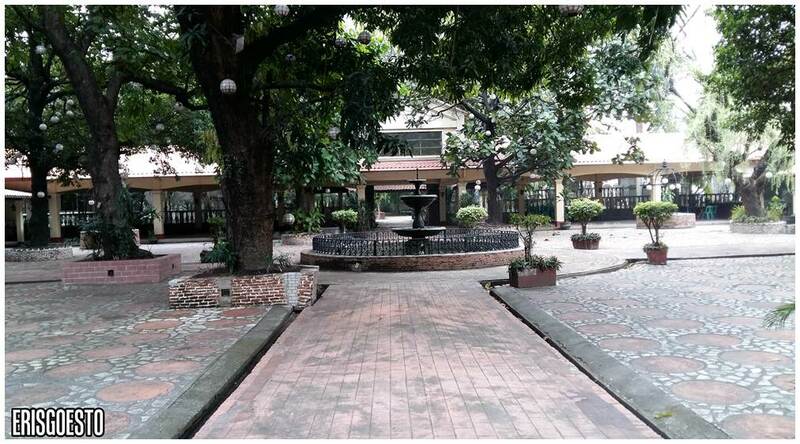 As we walked down the hallways (the structure is square shaped with a courtyard in the middle), I imagined Augustinian monks, gliding down the same paths we were taking with their oil lamps at night, 400 years ago. We entered the actual church area through a side door. 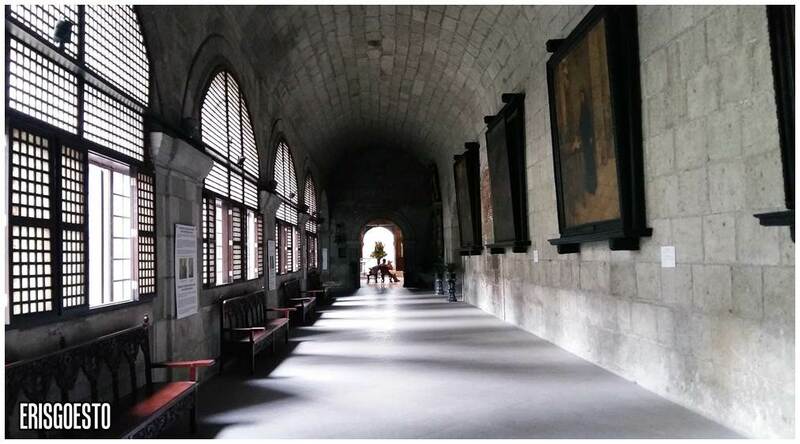 It was different from the dark and sombre mood of the adjacent monastery. 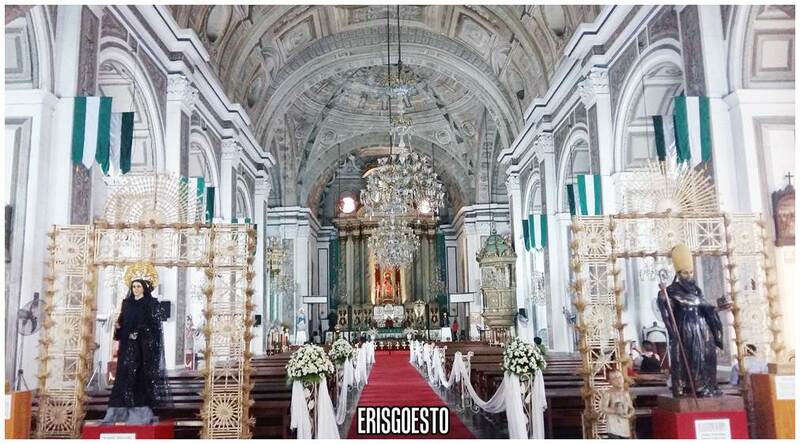 Soaring buttresses, arching doorways and carefully painted ceilings gave off a feeling of grandeur, while the red carpeted aisle going through the benches was decorated with white drapes and flowers. 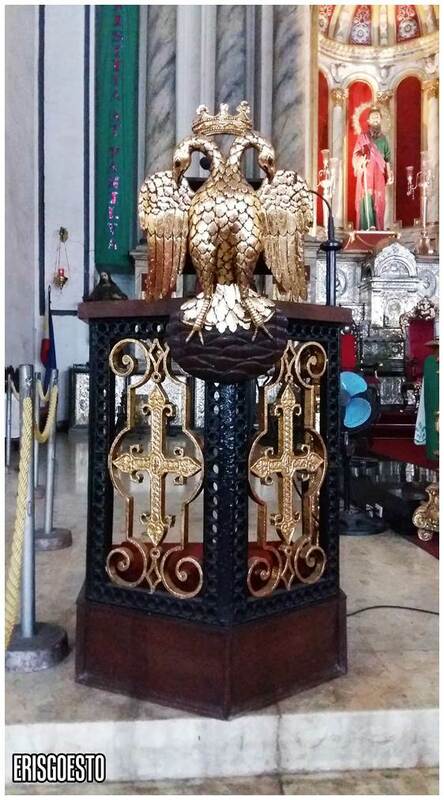 Adding a Filipino touch were traditional bamboo frames called Singkabans, placed behind life-sized saint statues. It’s not an understatement to say that it was the most beautiful church I had seen in the Philippines so far. 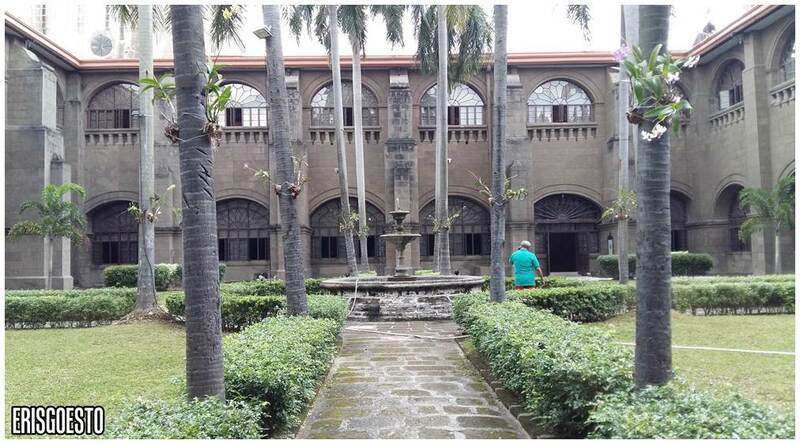 Everything about it reflected the riches of old Manila, married with European glory. 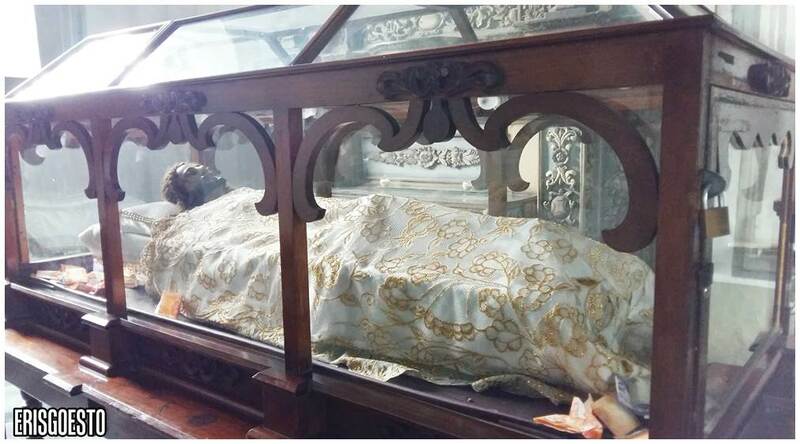 A Santa Nino (child Jesus) statue. 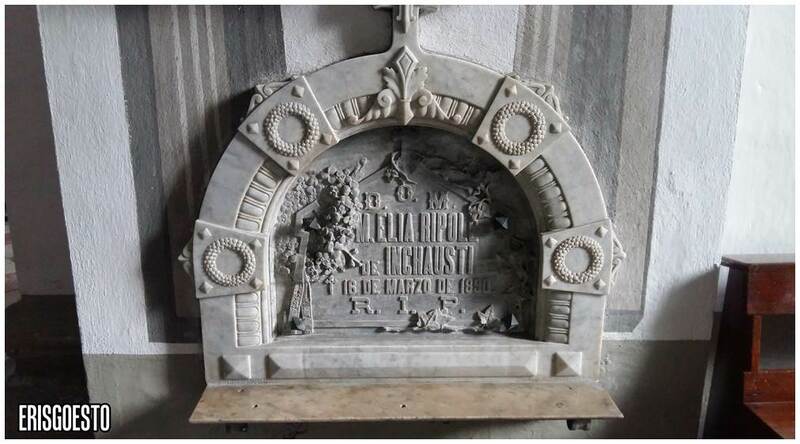 There were many tombstones on the walls, and placed like tiles underneath our feet. Most were from the late 1800s. 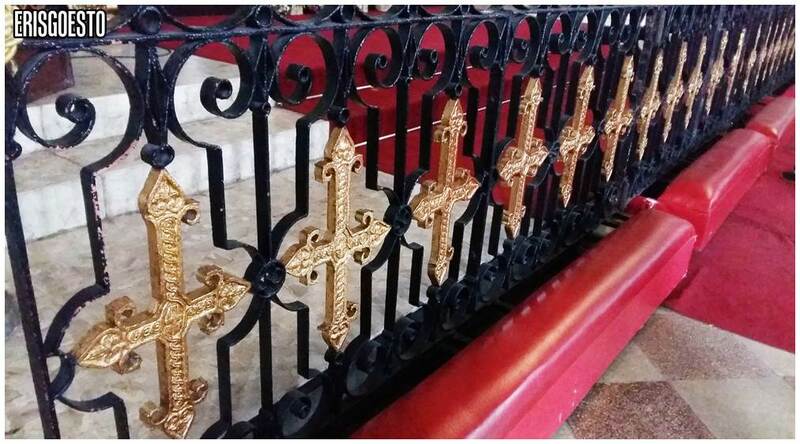 Gold crosses in wrought iron separate the main altar and the pews. Staring up at the ceiling, you’ll notice that it gives off a 3-D effect despite being flat. 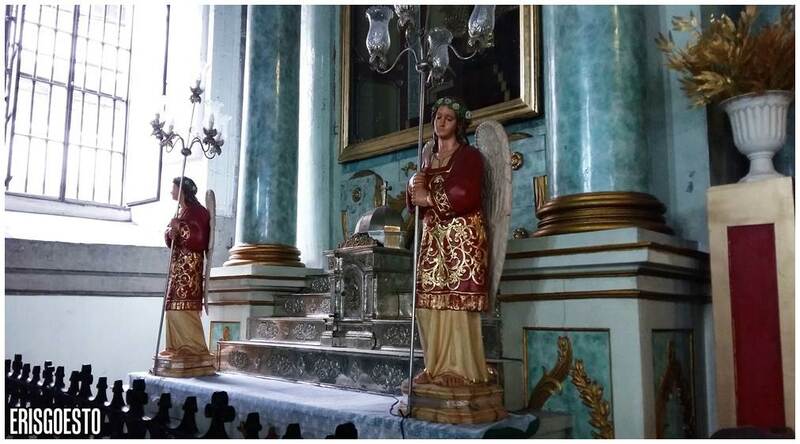 This technique is called the Trompe-l’œil, and the ones in San Agustin church were done by Italian painters. 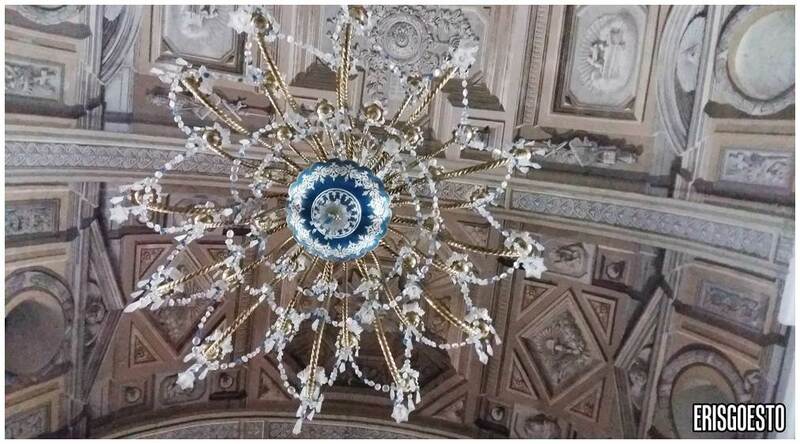 The church also has 16 chandeliers imported from Paris. We returned to the monastery area. I told E about my trip to the York church in UK – how the place hadn’t needed any loudspeakers for their choir because the building itself had very good acoustics. “It was so magical. The hymn music and voices just filled the whole hall,” I emphasised. Meanwhile, a loud voice floated across the courtyard and I saw a man talking on the phone. 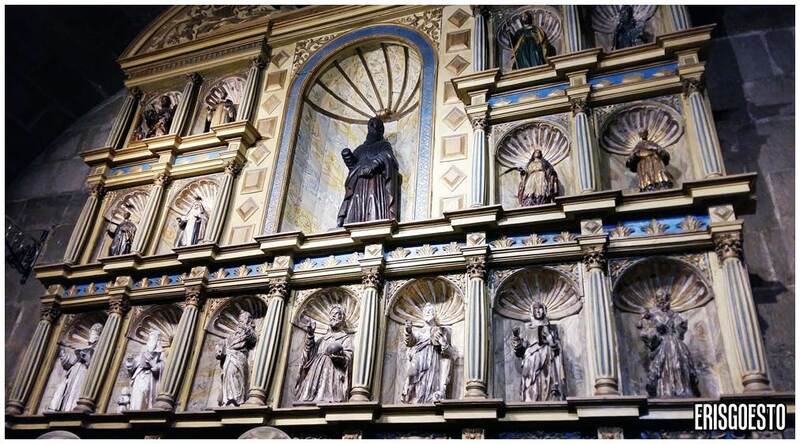 “There, our churches have good acoustics too,” E laughed. 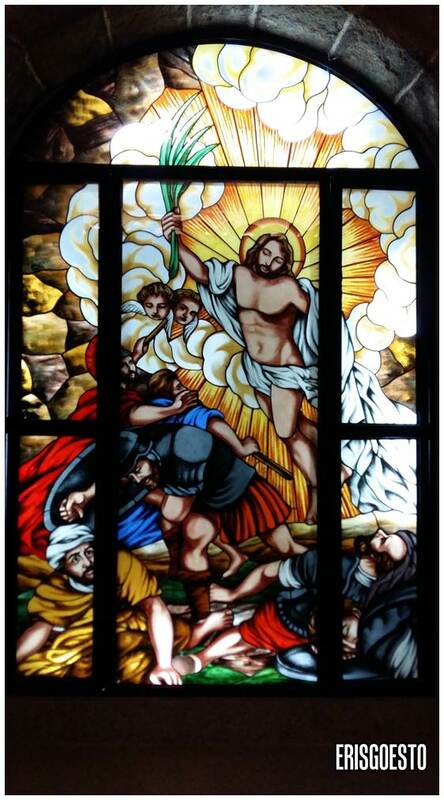 Stained glass art. Are those heads with wings!? One of the chambers was a crypt. 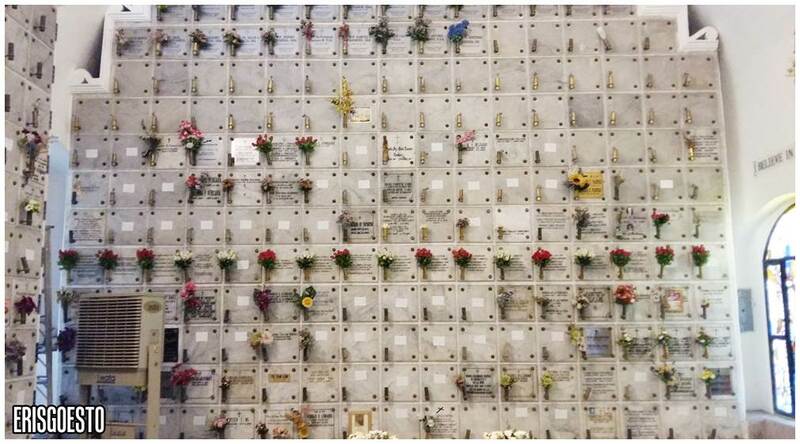 Some of the slots were empty, but the ones that weren’t had flowers placed on them. It was colder and draftier here.. or maybe it’s just the air conditioning? 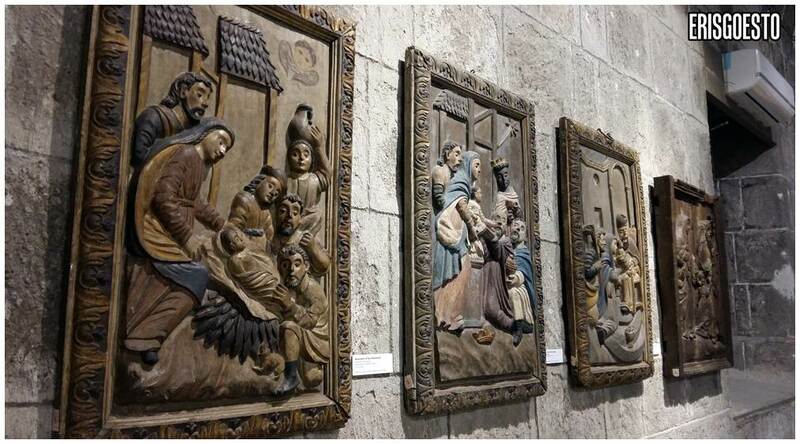 Gallery of religious artworks – mostly paintings and wood carvings. More statues with missing hands.. idk why but a lot of the old statues at museums and churches here have missing limbs. One really has to marvel at how superb the craftsmanship was back in those days, even without the help of machines – just good old hands. 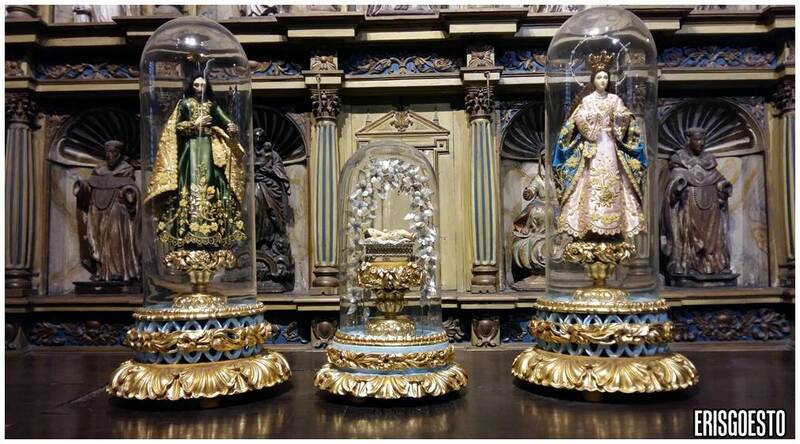 These figures of Joseph and Mary flanking a baby Jesus were placed within glass jars, gilded in gold and sky blue. The detailing on their costumes, kindly facial expressions, down to their life-like hair – was nothing short of exceptional. 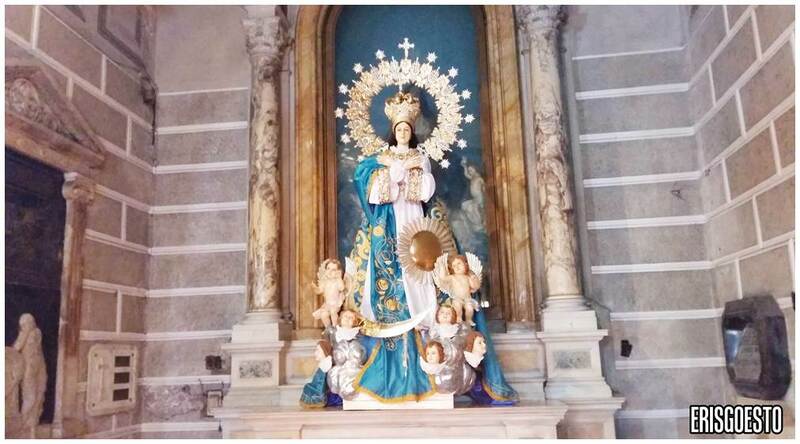 Regal looking life-sized statue of Mary holding a child Jesus. 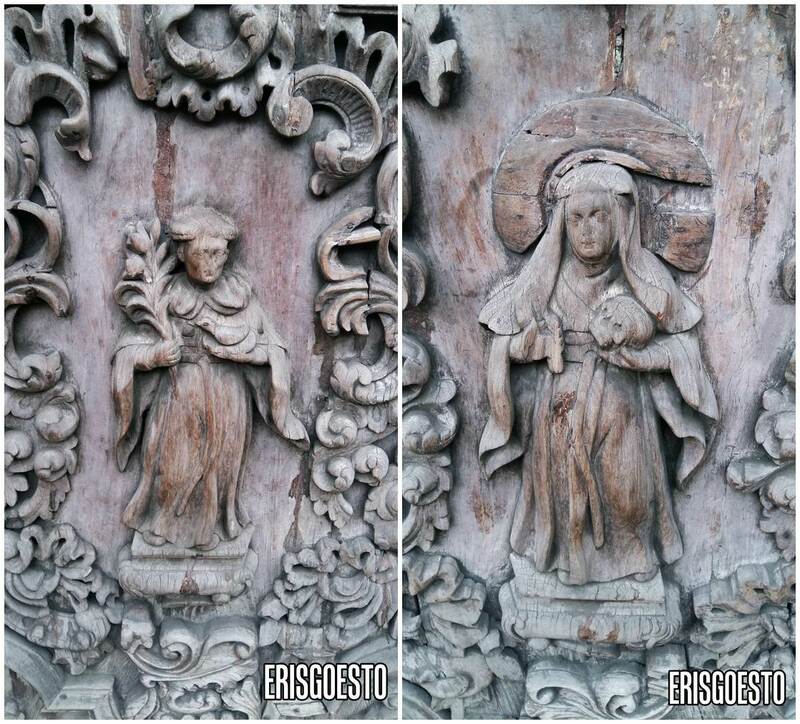 Sometimes, old art can be scary/creepy looking, like this set of wooden panel depicting three martyrs. Idk, I guess it just has a very otherworldly vibe to them. I’d hate to be stuck in this place at night, to be honest. 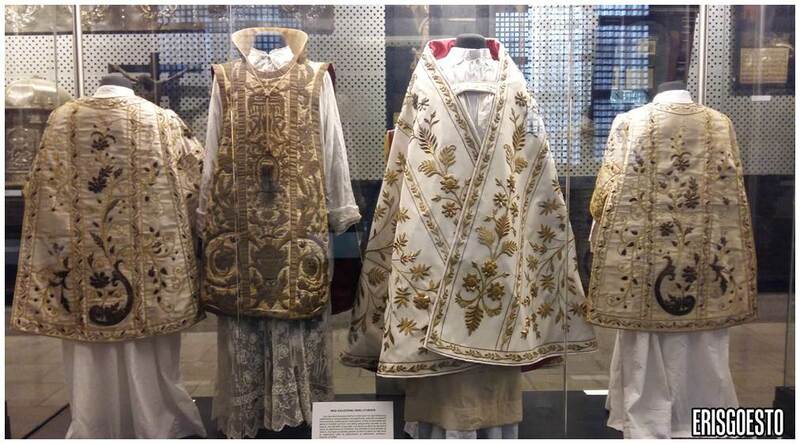 Robes worn by priests, according to rank. We also explored the second floor, which wasn’t much different from downstairs.Most of the rooms were not open to the public. Last but not least, we made a quick round of the courtyard. Simple and shady, and a good respite after the church’s dark and sombre interior. To be very honest, I didn’t much like the church – it feels…. haunted, somehow. If not by ghosts, then by sad memories from all the horrors it has seen (fires, seven earthquakes, one war, a massacre and still standing). I can’t deny that it’s one of the most beautiful ones I’ve visited so far, but it left me feeling depressed by the end of it. I don’t know if that’s a product of an overactive imagination, or something else. 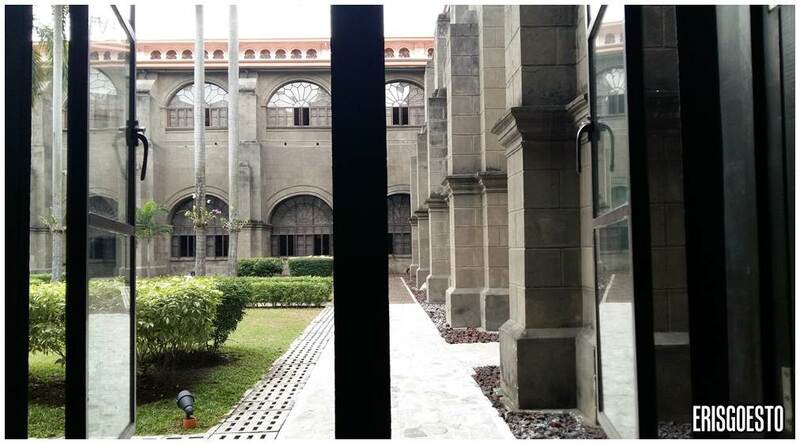 Either way, it’s still one of the must visit places in Intramuros for its history and architecture.